Many years back, doing a diploma after standard 12 (after standard 10 was even worse) was considered to be taboo. But now, it’s not. 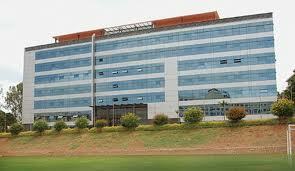 Manipal University is a well reputed and an old institute for hotel management training in India. You can pursue a Diploma in Hotel Management Catering Technology after Class 10 if you hold your interest in the vast and versatile Hotel and Hospitality Industry. What’s more, you’ll also end up holding a degree from a university that is famous for its association with Welcomgroup, the hotel division of ITC Ltd, and which is also recognized by the International Hotel Association, Paris. Sophia polytechnic courses are well known throughout India for the variety of courses they offer at the Class 10 level. If your interests lie in areas of fashion and textiles, you could pursue a Diploma in Textile Design. The only prerequisite for this course is that you should have completed a course in Foundation Art. You could chose printing or weaving as a major in this diploma. Would you have ever thought that a diploma course can be a detailed and exhaustive as to run over 3.5 years? 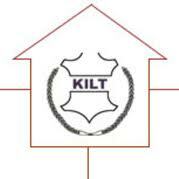 We’re talking about the Diploma in Leather Technology from the famous Karnataka Institute of Leather Technology (KILT). If you want a strong industry focus, innovative teaching methods and quality faculty in your study program in the leather/tanning industry, a niche education at KILT is a must. They also offer many certificate programs in ancillary areas of leather technology. Located on the Pune Satara Road, Bharati Vidyapeeth University is the largest polytechnic institute in all of Maharashtra. If you are passionate about Engineering but are not cut out to do the 10+2+AIEEE routine, a 3 year diploma could be a great way for you to bypass the rigmarole and get into your favorite Engineering stream. 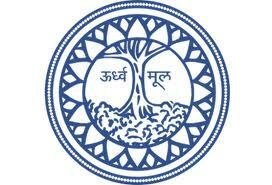 All the courses are certified by the All India Council of Technical Education. Fancy studying about wine and then flying off abroad for a thriving career in wine making? Of course, it’s hardly as simple and glamorous as it sounds guys, but it’s definitely worth giving a thought if you even vaguely hold interest in it. Christ College, Banaglore, is one of the few places in India which offers a Diploma in Wine studies along with a wide range of post Class 10 certificate courses. Today most of the students want to get higher education in any industry. You don’t have money to getting higher education. You can join any diploma in event management, hotel management, leather technology and many other diplomas and you can start your career in early age. The recognition gives you the chance of seeking after higher reviews in the segment and in joining prestigious foundations that give cordiality administrations, similar to inns, resorts and journey lines. This information is really very good wish to give you a huge thumbs up for your great information.